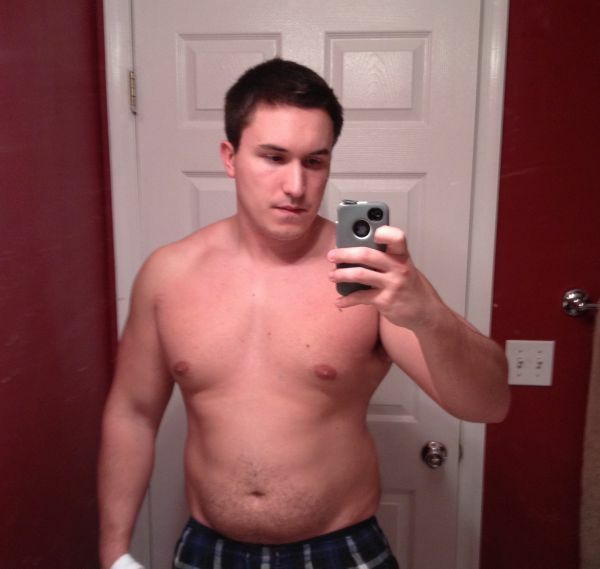 Muscle for Life Success: Jordan P.
"I lost roughly 35 pounds while getting stronger." When I started the program, I was traveling for my job. Having your company pay for all your meals was a quick way to pack on pounds and to go out drinking every night. Since I was working 80+ hours and traveling on top of that, I had limited time. I started off by working out Fridays-Sundays on his 3x a week split. I eventually used my situation to my advantage, by pulling nutritional information and tracking everything that I ate. It was easy at first not having to worry about cooking but once my project was completed, I already had the foundation to continue and the momentum from my weight loss to push forward. As I’m writing this, I’m 180lbs. I lost roughly 35 pounds while getting stronger. I continued to add weight to all my big lifts consistently while losing pounds of fat. The only downside was that I had to buy clothes that fit my new physique, but I could have worse problems. I was tired of different “experts” and “gurus” claiming that their program works, while pushing their own supplements down your throat. They promote starvation diets that get you nowhere. I found Mike’s book through my ultimate quest to lose weight. 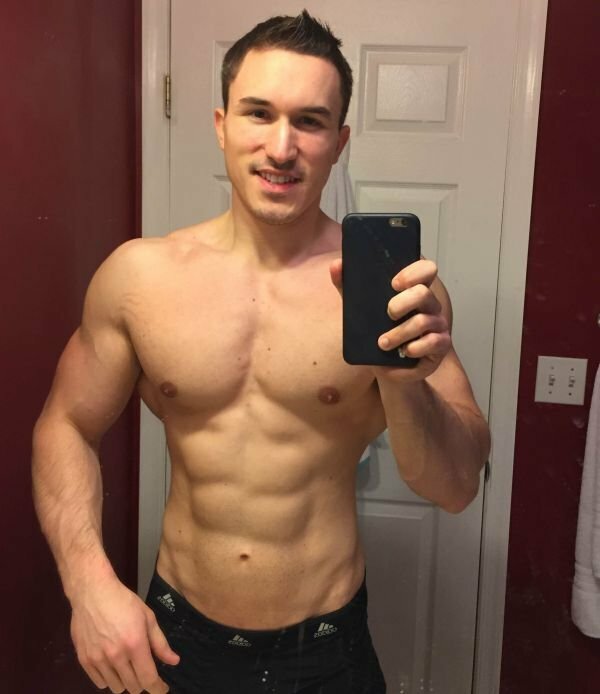 I stumbled upon Muscleforlife.com and after reading a few articles, I was sold. I purchased the book and after reading it, was motivated to change. I followed other programs off various websites but usually always ended up frustrated with little to show for it. I really appreciated all the sources he used to validate all his methods and theories. What I liked most was the rep ranges for all the workouts. I was accustomed to the “standard” 8-12 rep range that gets people nowhere. By lifting heavier with less reps my strength sky-rocketed and I was amazed how much I loved coming to the gym. The diet portion was full of solid advice and I always loved my re-feed day. I never expected to follow through and get these results, the program has truly changed my life for the better. It doesn’t promise results overnight and there are no miracle supplements that will allow you to lose fat and gain 50lbs of muscle in 8 weeks. Mike and the Legion team stand behind everything they say (and it’s all backed up with legitimate information). I followed the diet closely, but also practiced more of the IIFYM “If it fits your macros” style of eating. This allowed me to remain flexible and allowed me to eat what I like, yet continue to lose pounds. I was always overweight. I used to hate shopping for clothes since nothing fit right. Sticking to this program and changing my body has forever changed my life. My first goal was to lose the weight to reveal the muscle, and my next endeavor will be to continue to gain more and more muscle while maintaining a lean physique. I have more energy and I have set an example for my family to change their bodies. I’m a firm believer that bodybuilding and lifting weights carryover into your daily life. I’m more regimented and I know that anything I put my mind to, I can do. It will be tough, there will be days when you feel like you can eat everything in sight but stick to your diet (which becomes a lifestyle) and stay the course. Mike was great with responding to questions I had, and his articles and podcasts are well thought out. As an aside, I used Legion’s fat burner Phoenix and it was great. All their products are phenomenal and work. Just remember they’re supplements – you need to put the hard work in to achieve your goals. Thanks so much for providing the motivation to change my life Mike! I am now a Muscle for Life-r!! !